Ultimate valentine’s SURPRISE: m&m’s fun first move project winner takes their love to a different height. - Hello! Welcome to my blog! Ultimate valentine’s SURPRISE: m&m’s fun first move project winner takes their love to a different height. 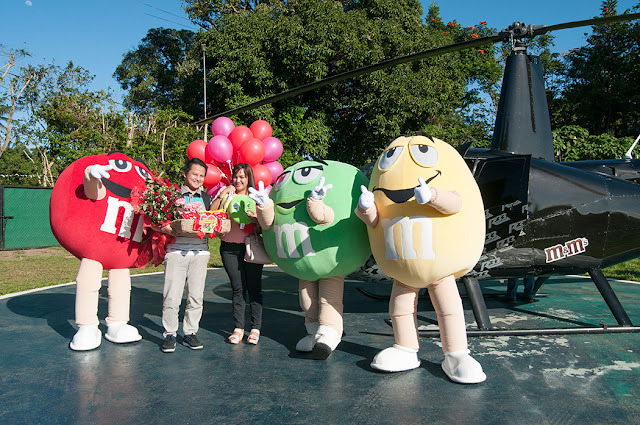 MANILA, PH - Love is literally in the air as M&M’s treat a lucky couple with a breath-taking helicopter ride to the scenic city of Tagaytay to enjoy the most romantic date this Valentine’s. 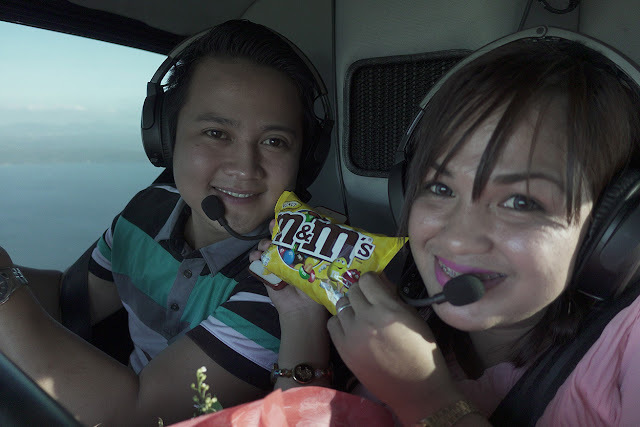 Traditionally, men are the ones who shower women with flowers and chocolates but this year with the help of #MMsFunFirstMove project, Jessa Bernales was the one who surprised her husband with a bouquet of flowers and an epic helicopter ride to an unforgettable date in Tagaytay. This romantic surprise will surely take them, and their love to different heights, just ask the chopper pilot! Aside from our grand winner, nineteen other romantics surprise their loved ones with the help of M&M’s Red, Green and Yellow. M&M’s Red and his boy band make the winners’ significant others swoon and blush with their ‘kilig’-infused songs and charming demeanor. M&M’s Yellow, on the other hand delivers a big surprise, with the perfect cuddle buddy that will always remind them of the feeling of being in love - a giant teddy bear! And to take it up a notch, M&M’s Green brings along a hot real-life cupid! The hottie with the arrows shower the winning couples with gifts and affection. Congratulations to all the lucky winners of M&M’s Fun First Move Project. And don’t fret, you can still spoil your loved ones this Valentine’s day, show how sweet you are and gift them with M&M’s and your undying adoration. The Promo ran from January 9 to February 5 2017. For more updates, visit www.facebook.com/MMsPhilippines. Move over Christian Grey and Anastasia Steele. Jessa and Froilan Bernales’ ride is M&M’s -sweet! [Giveaway] Spotify Premium Codes Up for Grabs! Find Out Who Won The Axe Black Concept Store!